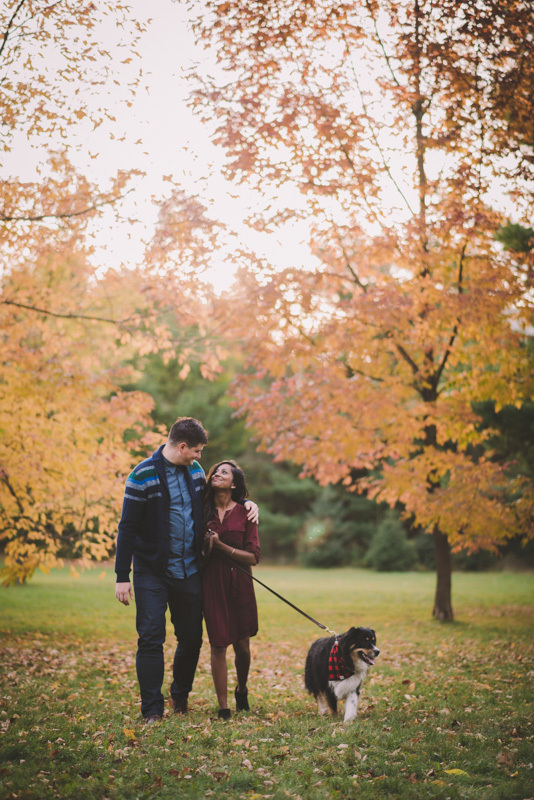 It’s been a gorgeous and very warm fall season and I feel incredibly fortunate to have been able to spend so much of it outdoors. 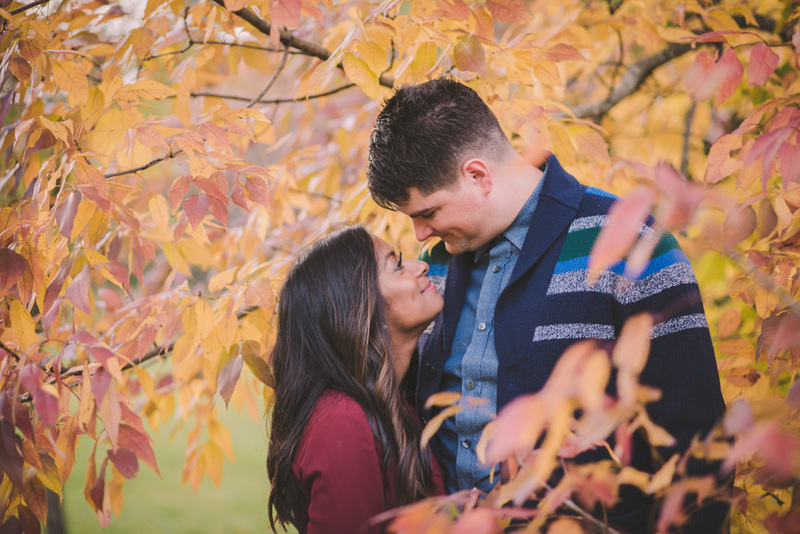 I’ve since been tackling a to-edit list that was growing rapidly as a result, and I’m looking forward to sharing lots of images on the blog in the coming weeks! 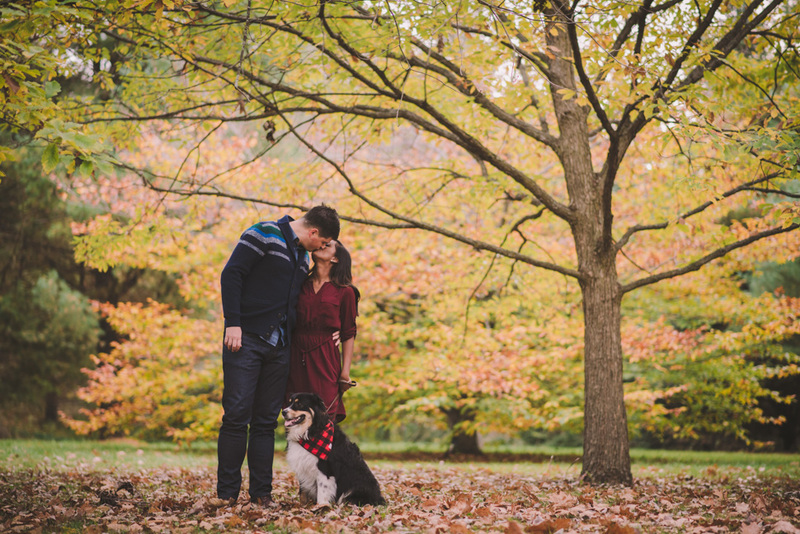 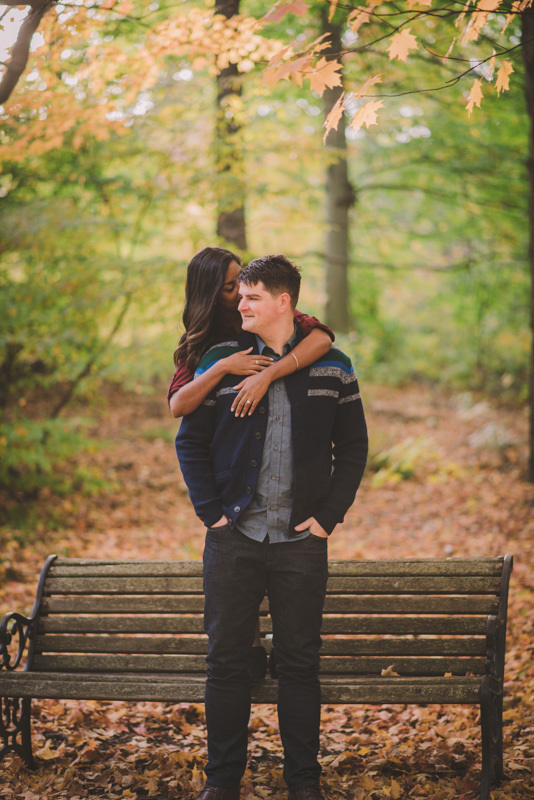 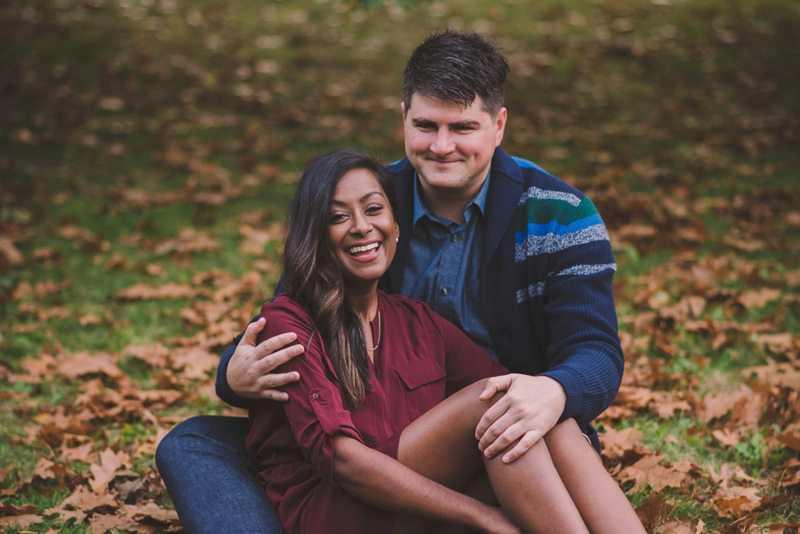 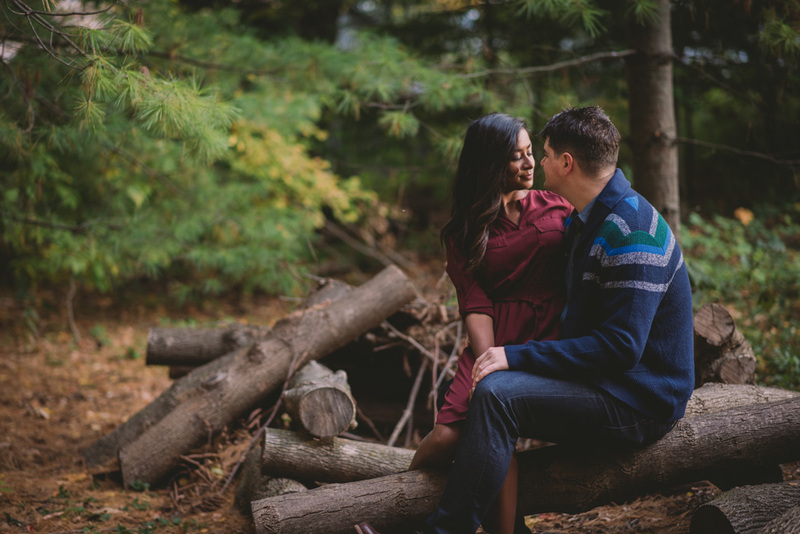 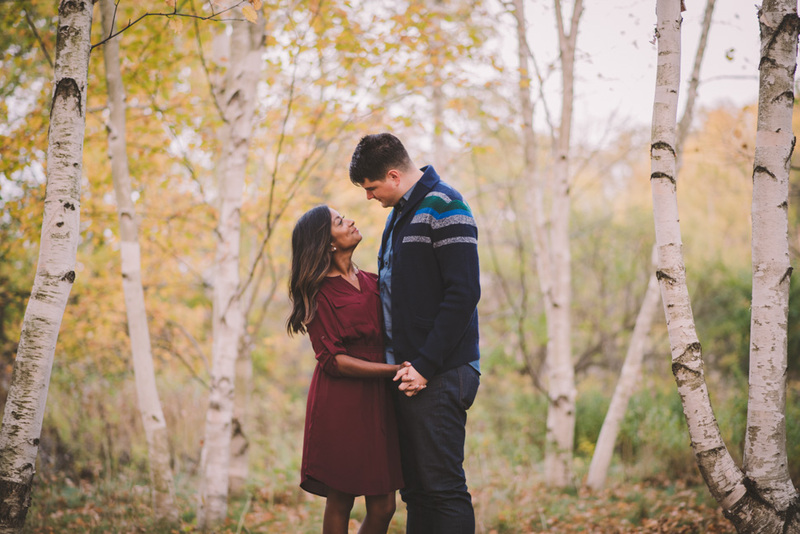 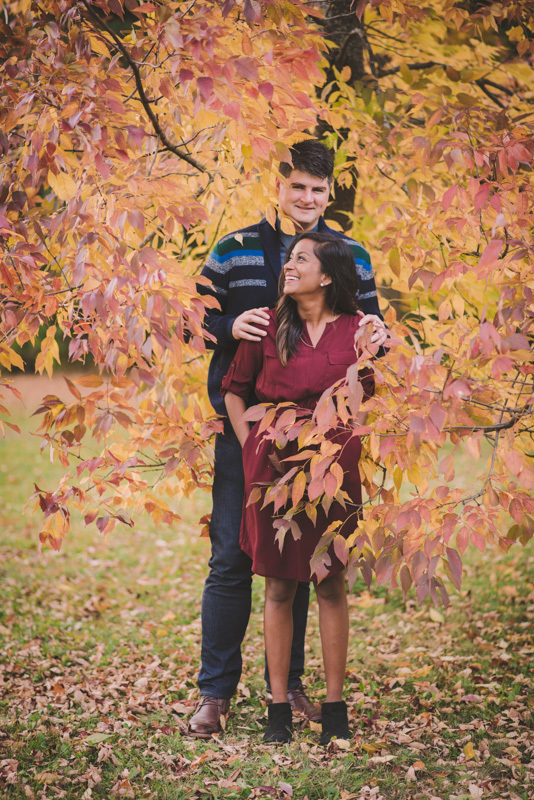 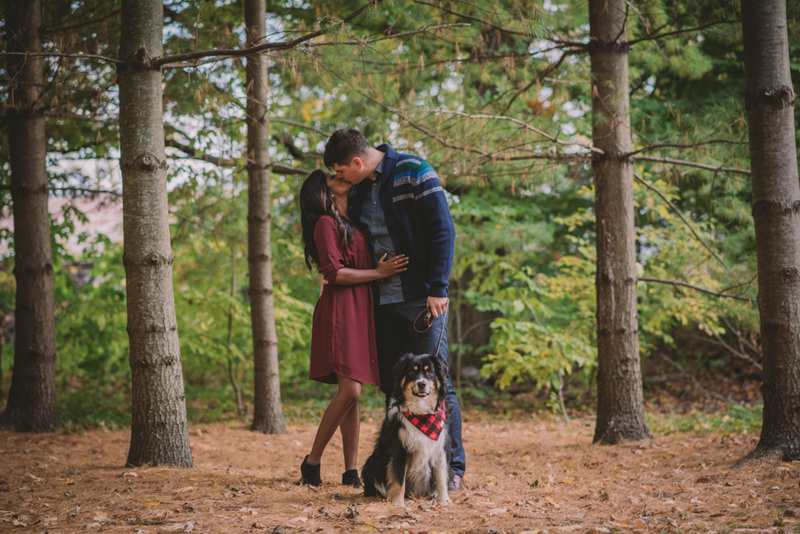 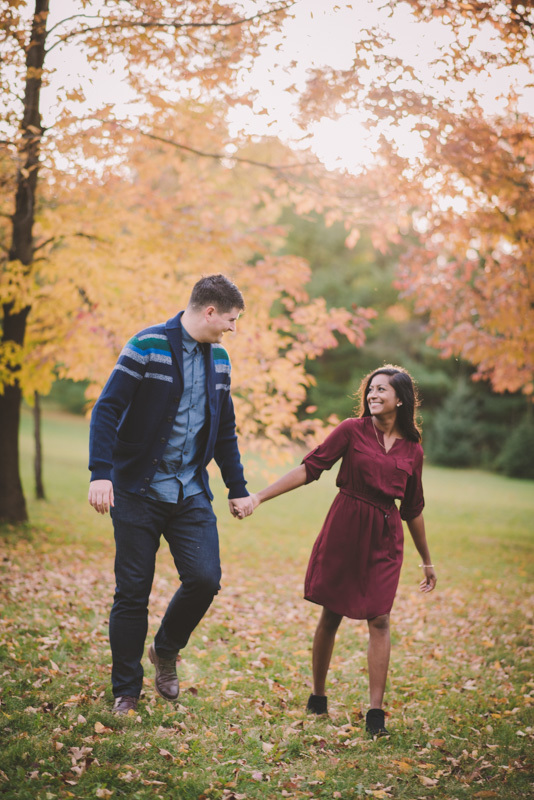 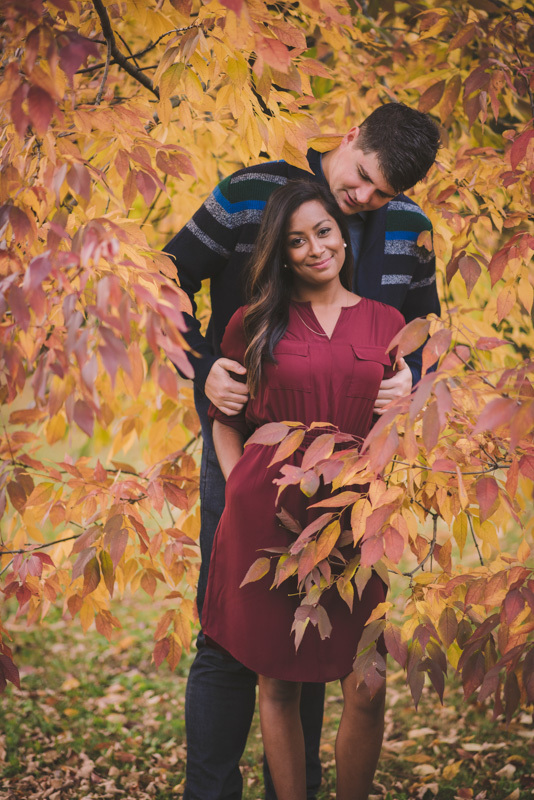 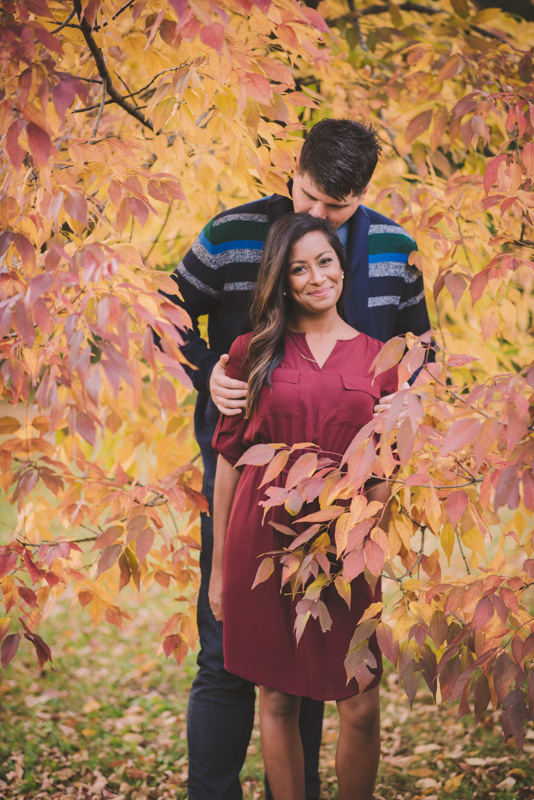 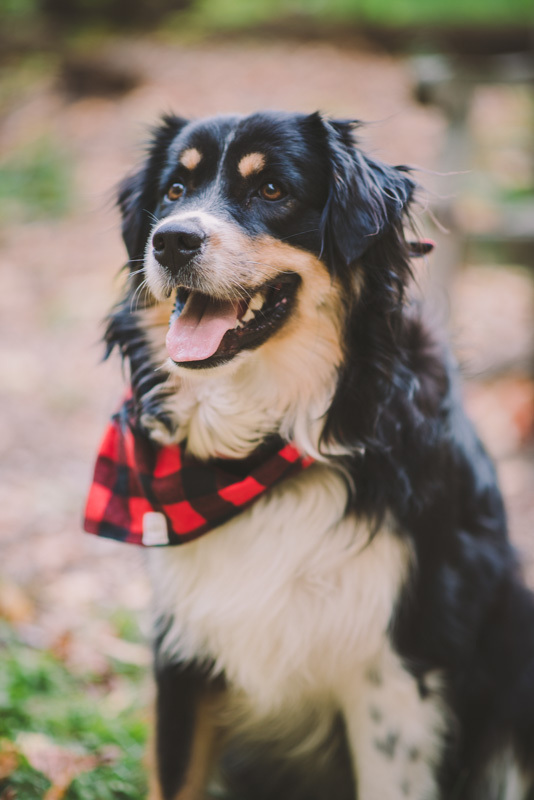 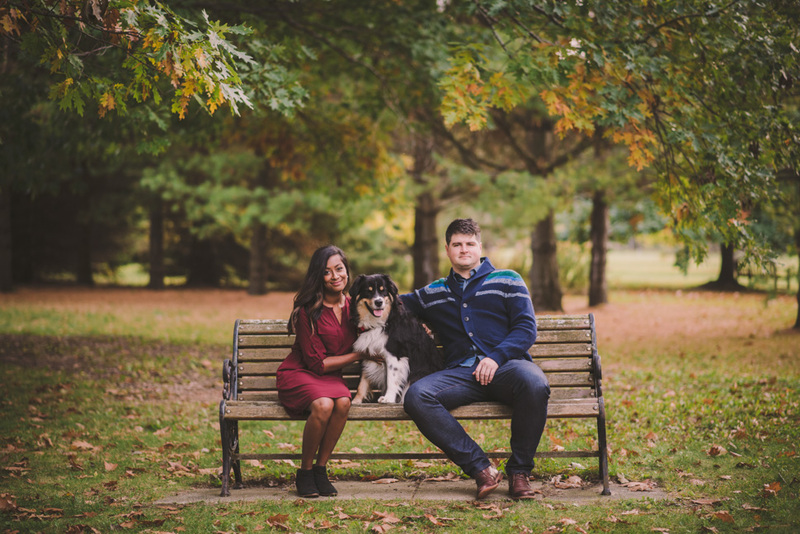 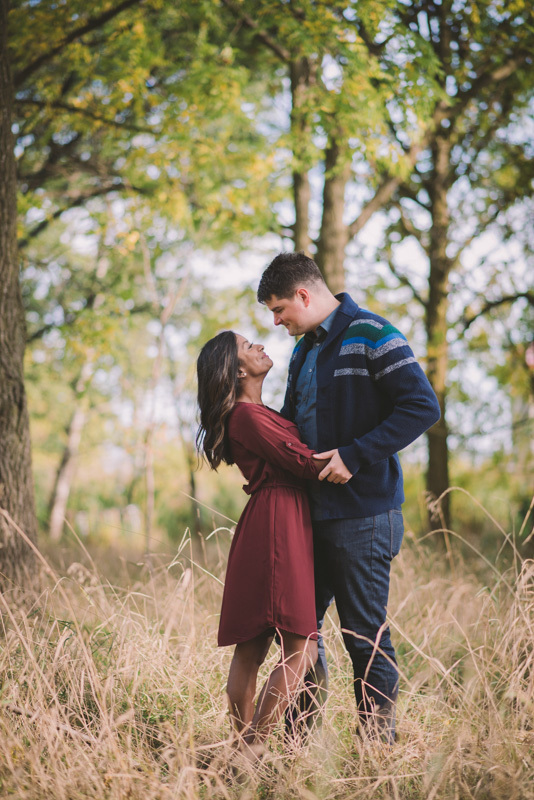 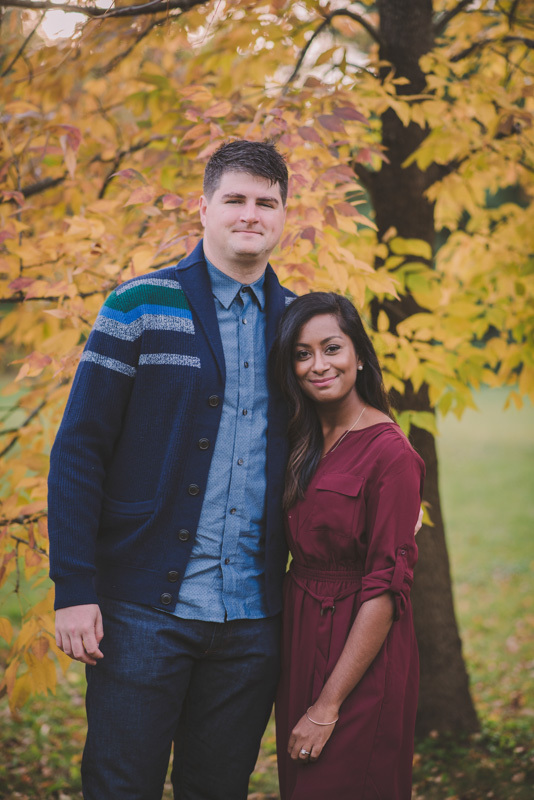 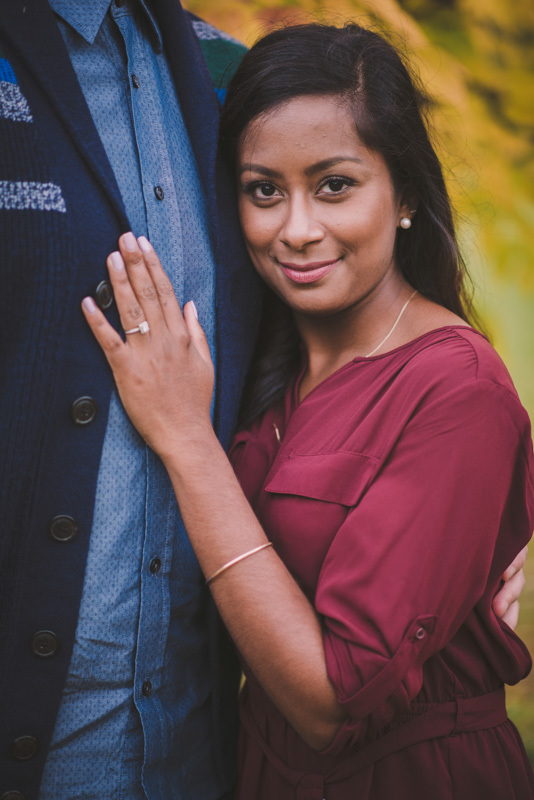 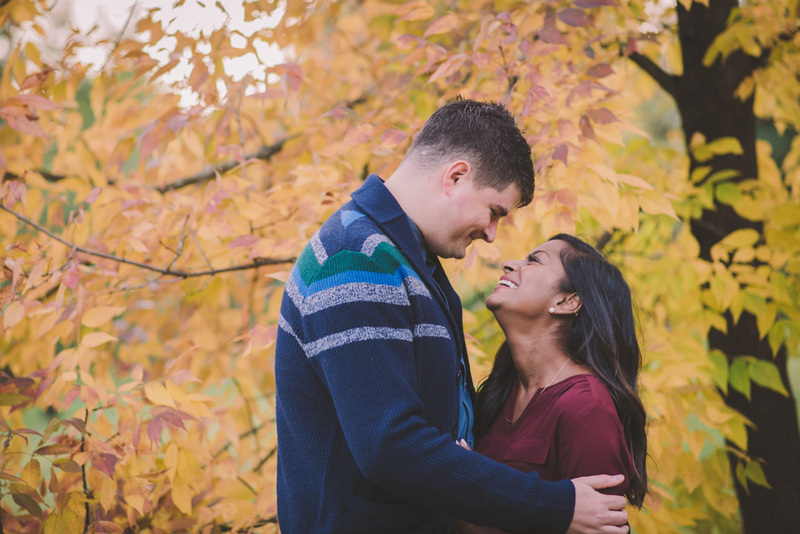 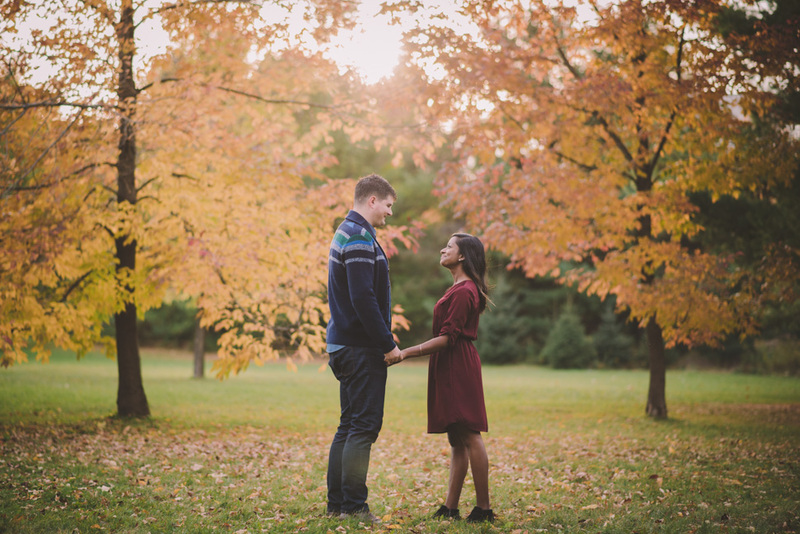 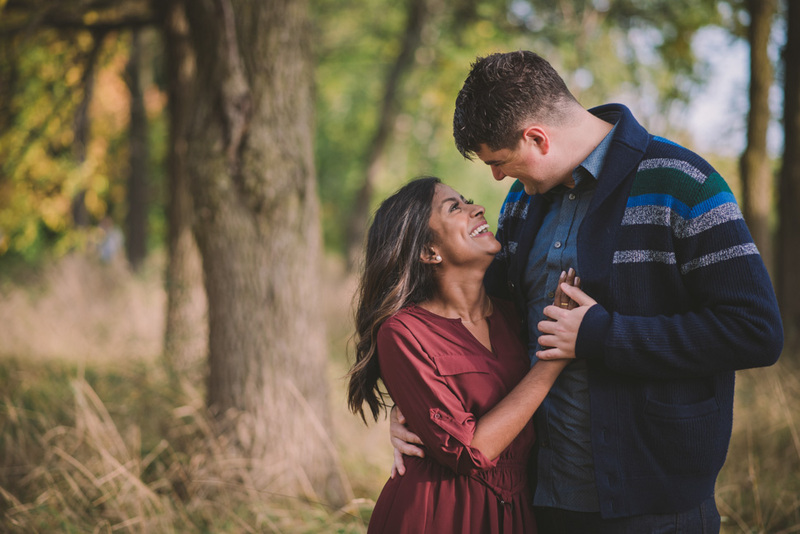 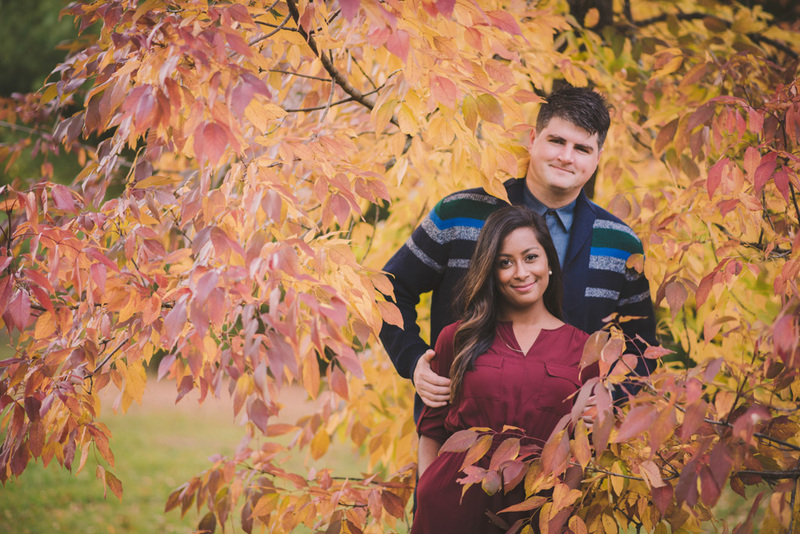 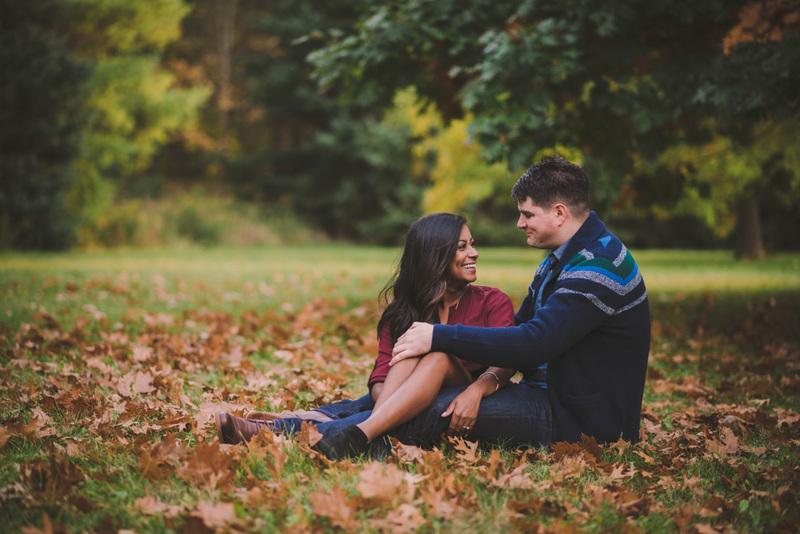 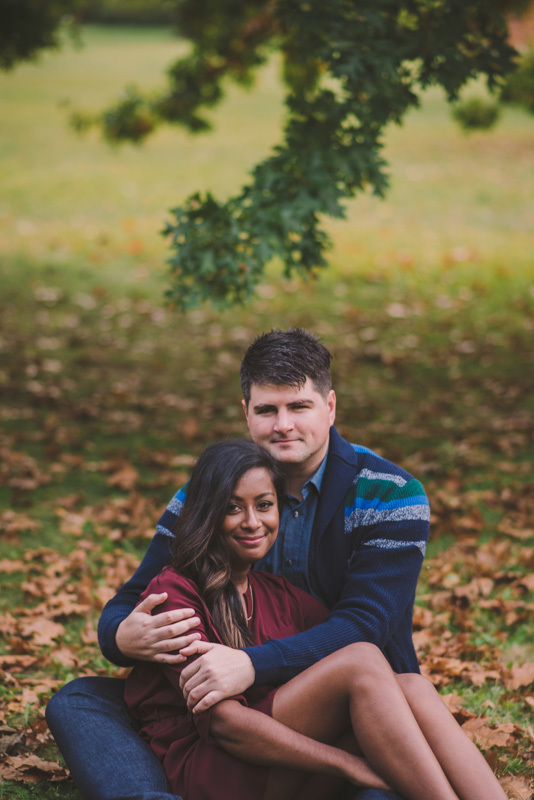 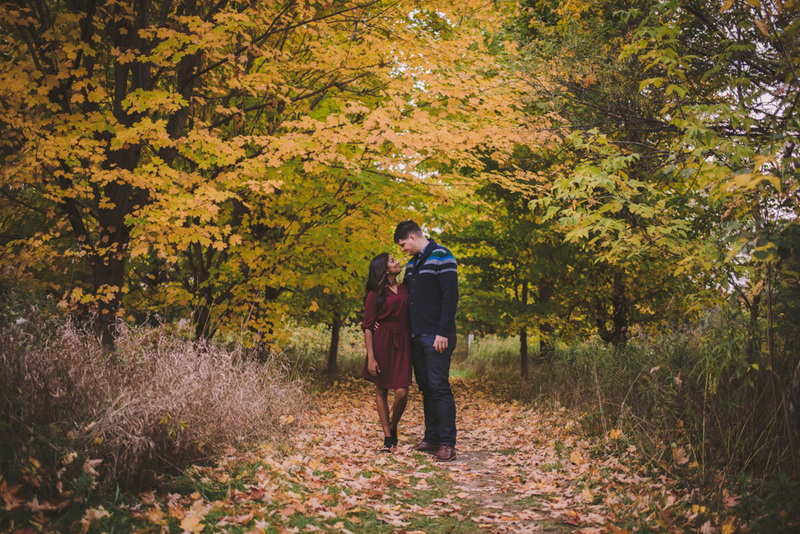 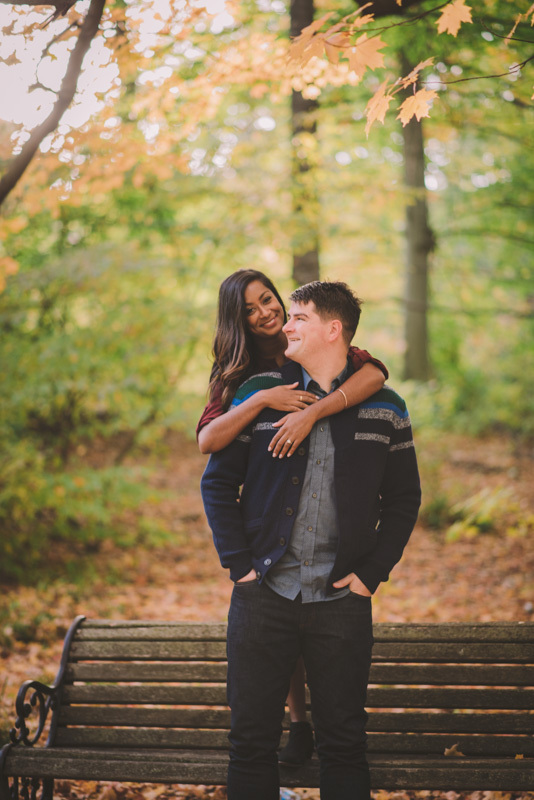 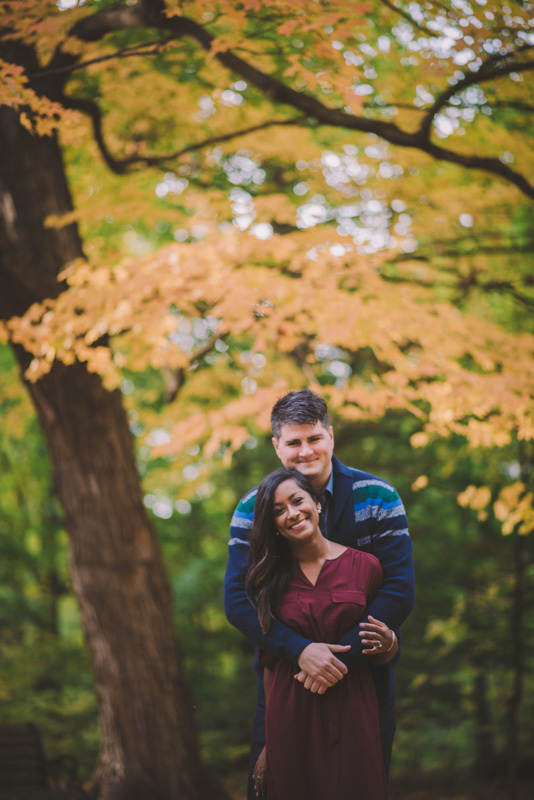 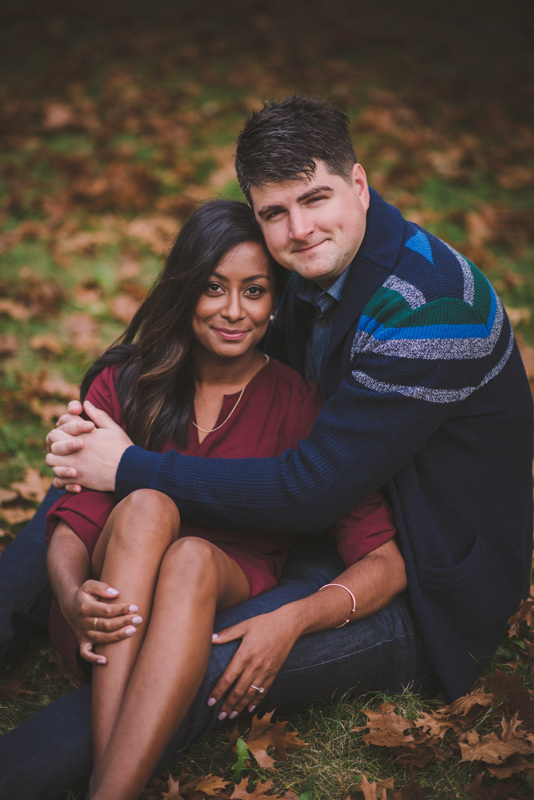 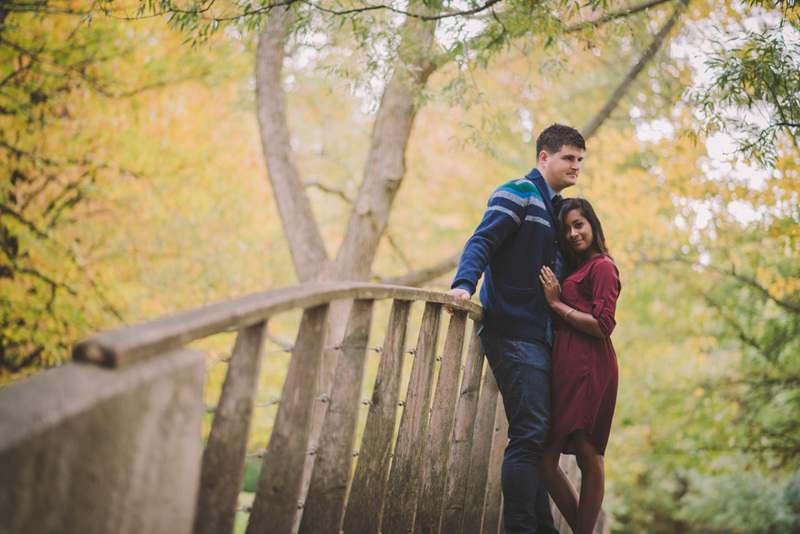 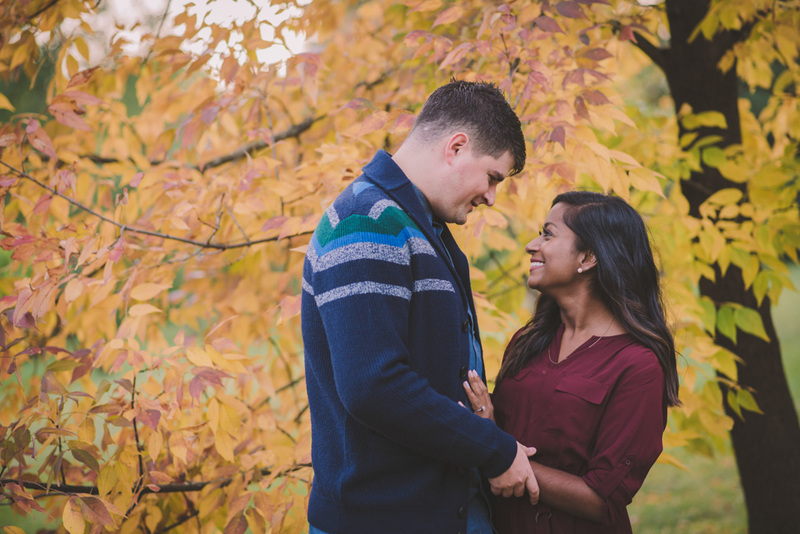 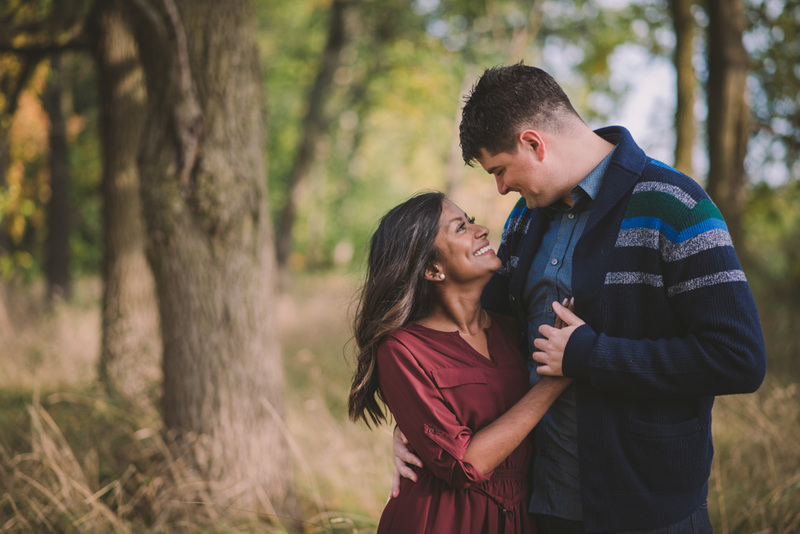 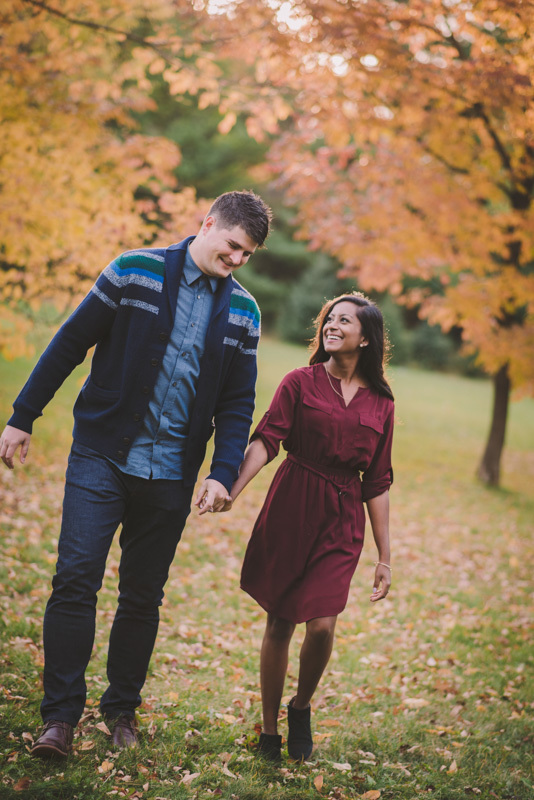 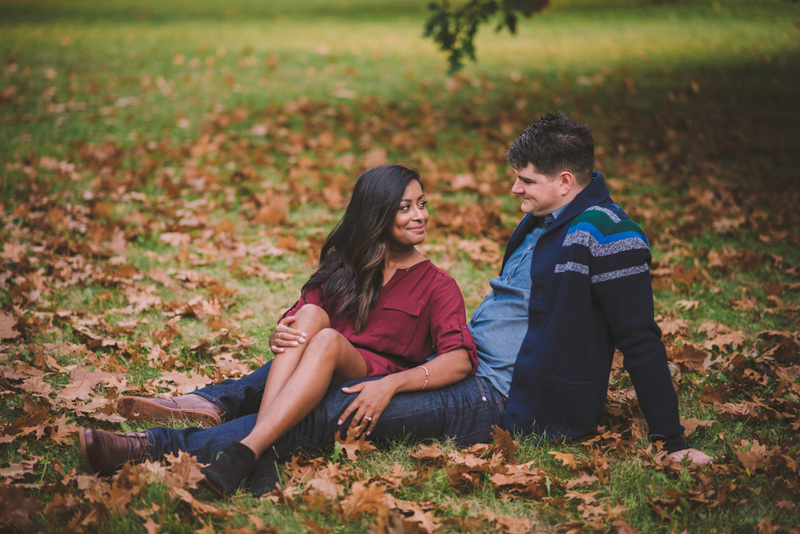 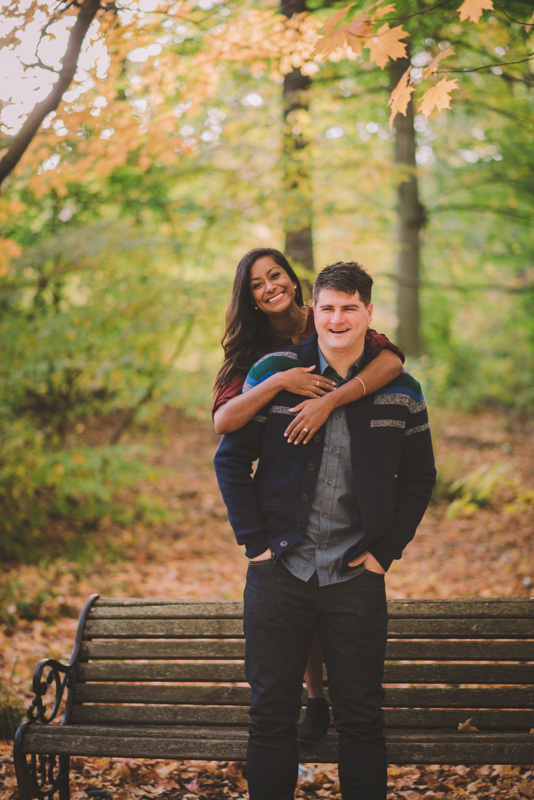 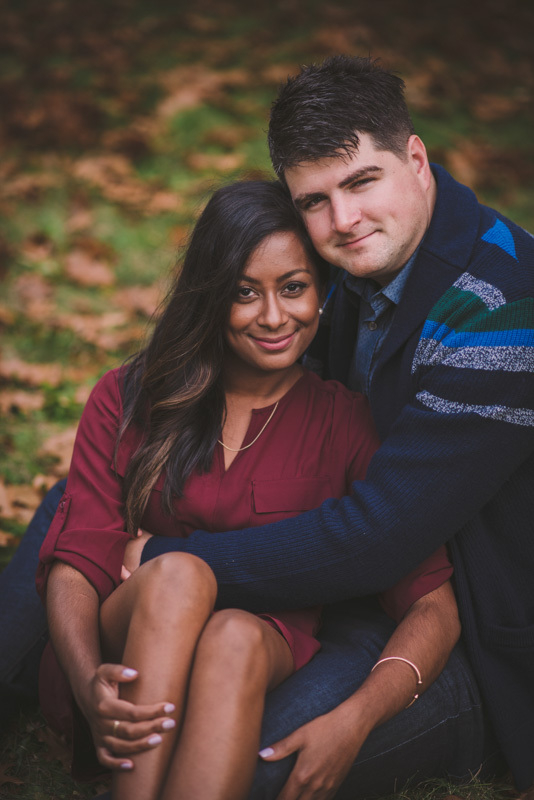 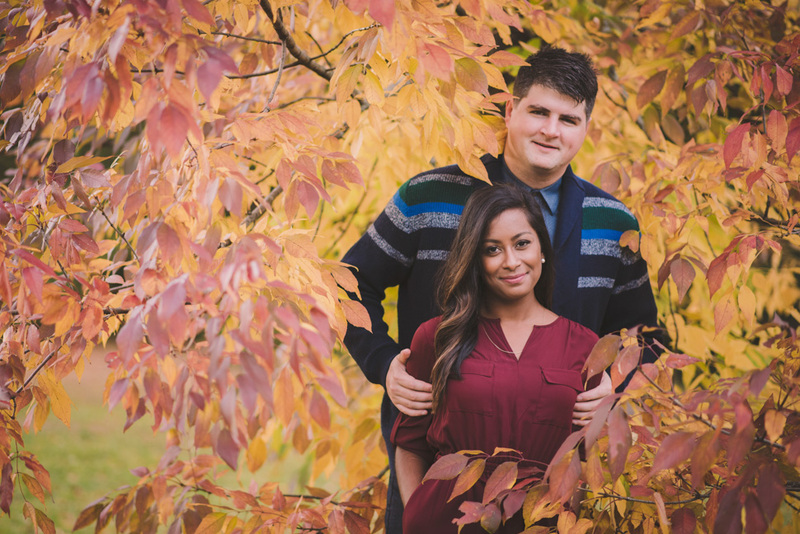 A few weeks ago I had this lovely shoot with Marissa and Dave at the University of Guelph Arboretum. 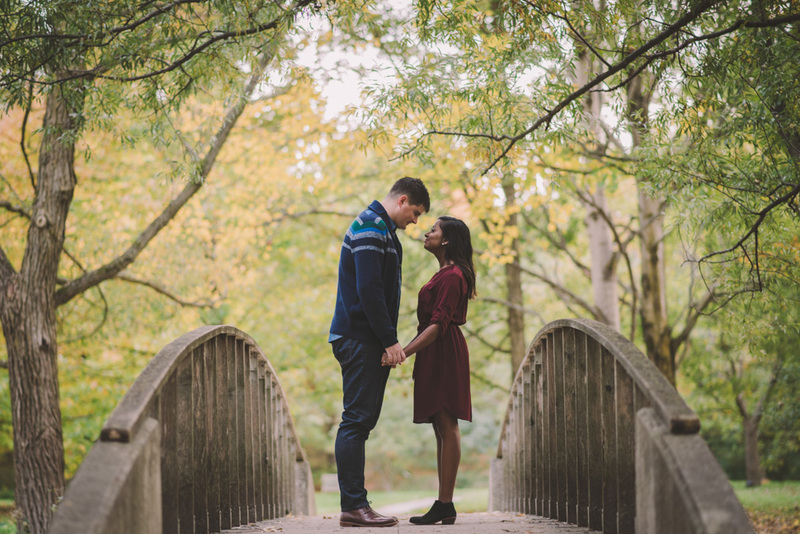 The Arboretum is a huge beautiful park right on campus that features everything from swamps and forests to manicured themed gardens. 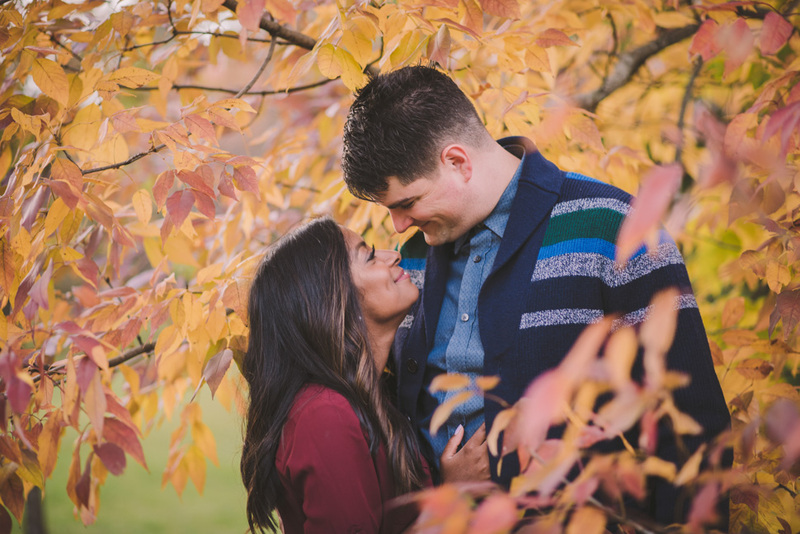 If you haven’t been there, I highly recommend a visit! 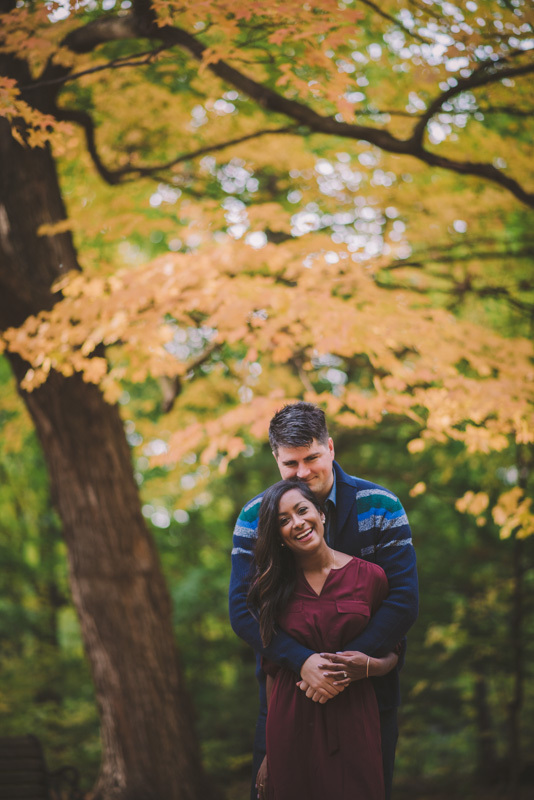 Marissa is a friend of mine from university, and at one point about ten years ago we lived right across from each other in a quaint little townhouse complex in the south end of Guelph. 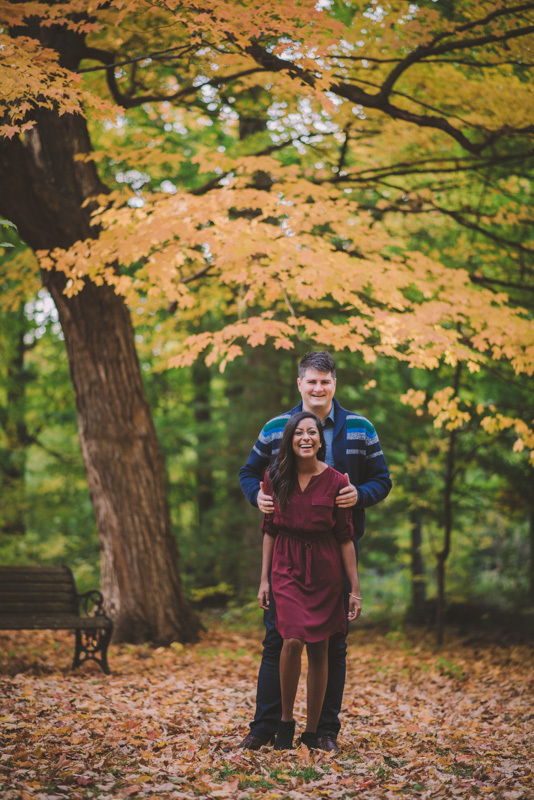 Shortly after she and Dave got engaged, they bumped into me at a winter wedding show and booked me for their wedding day. 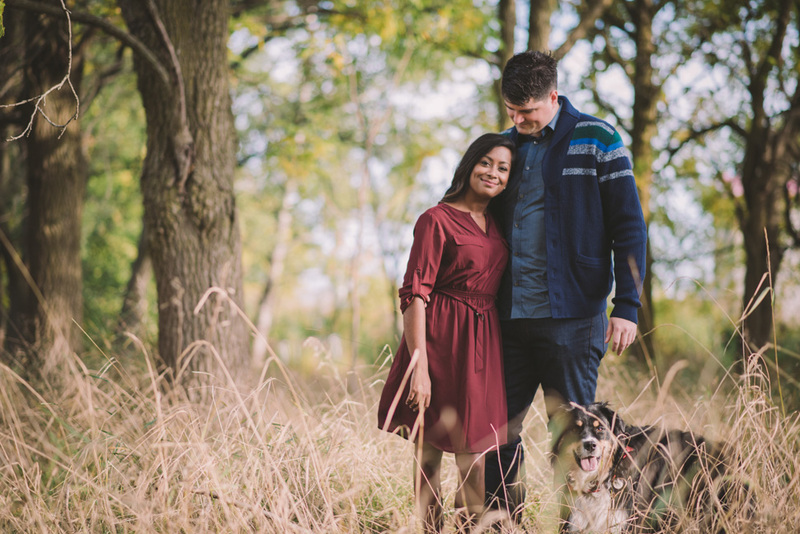 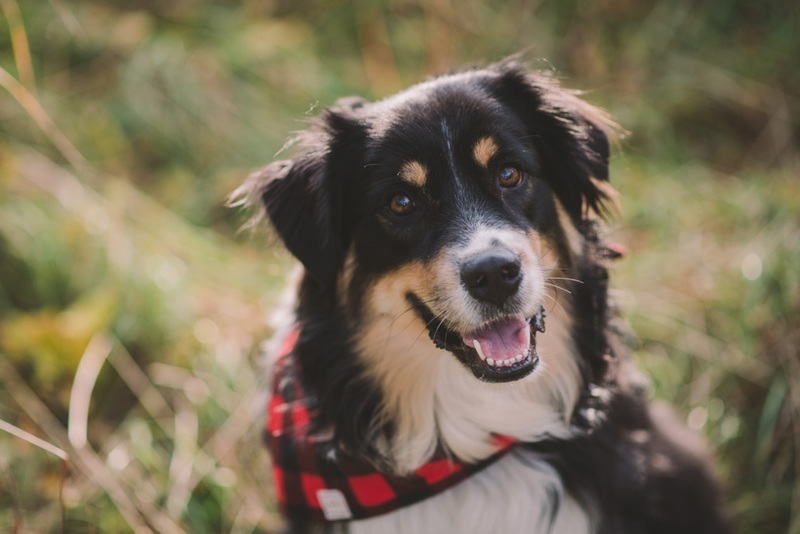 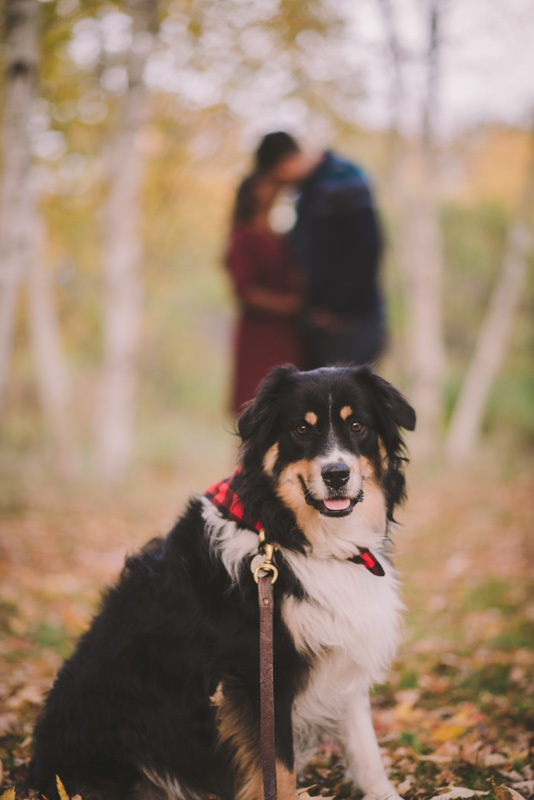 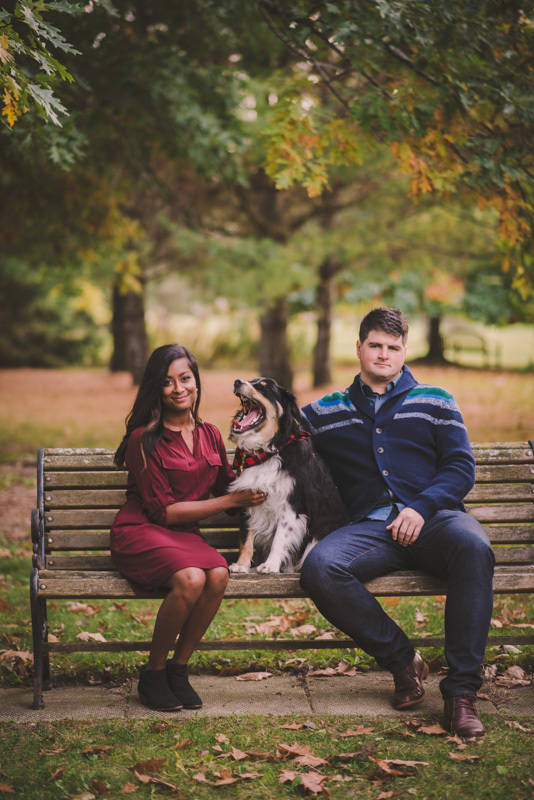 I loved working with these two, and their beautiful happy-go-lucky dog Remi.